You were a Christmas present from my then-boyfriend in 2003, as I prepared to head off on my gap year the next month. You were quite expensive, of very good quality, and had an elasticated knee bit so I didn't feel quite so constrained. That night, I slept in you for the first time of many. In January we headed off to South Africa and I slept in you for a month when I lived in the teachers' accommodation before moving into living with a local family. Then, when we were travelling for a month at the end, I slept in you (or under you if it was too hot) in backpacker hostels from Durban, to Port Elizabeth, to Cape Town, and many places in between. 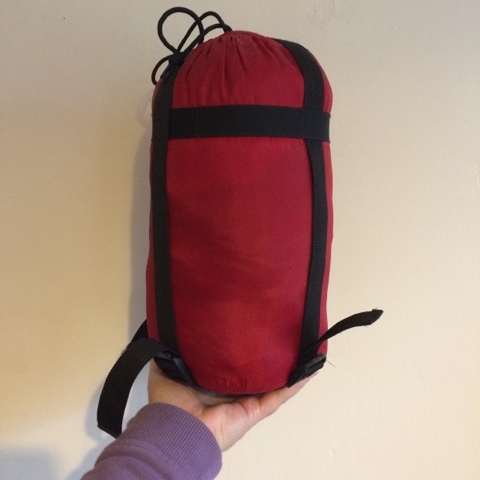 You have spent a lot of time in my large rucksack, as I've slung you on yet another train/into yet another car/on board yet another coach as we head off to yet another Brownie holiday/Guide camp/other miscellaneous Guiding event which requires bedding. We've been to a Roman-themed camp during torrential rain in the north east (yay for you staying dry! Well done! Mainly thanks to Sooty Owl yanking us back on to the groundsheet when we tried to roll off) and to a music festival for Guides in Hampshire. We've spent a week at a Jamboree in Essex and another week on camp in Shropshire. We've slept in tents, buildings, and a circus tent. We've slept on air beds, groundsheets, bunk beds and sofas. You've also accompanied me to many sleepovers at friends' houses, and equally played host to many of my friends when they've come to stay with me. You've been used as a sleeping bag, pillow, duvet, foot rest, blanket. You've not just been to South Africa, you're almost as well-travelled as I am. Remember those four months we spent travelling round Central and South America? I'm sure you do, you still have that stain on you - we were on a night bus to Lima, Peru and I'd taken you on board as I hoped to get some sleep that night, as well as try to stay warm. I was sitting in you, and I stretched out my legs, and a previous passenger had inconsiderately left some chewing gum under the seat in front - this got stuck to you, and although I did my best to get it off (to be fair, I did eventually get most off) there is still a little black mark. Sorry. Remember that night in Brazil when B's bed broke? And we were all concerned about bed bugs, and what does a bed bug actually look like? Also, I'm sorry you didn't see much of Quito, Ecuador, but with bed sheets like these, who could resist?! So all in all, dear sleeping bag, we've had a great time. We've had quite a few adventures. But now the time has come for you to retire. You're not keeping me warm any more, and even when you have a wash, you're never quite as clean and fresh as I'd like. For this Christmas, I've been given a new sleeping bag - it's huge, warm and fluffy, and ready for Brownie camps and sleepovers. I hope we have as much fun together as you and I have done. I'm not getting rid of you, not entirely. You're going to be my spare sleeping bag, for emergency purposes. But I'm afraid you are going to have to relinquish your position in my camp bedding bag. 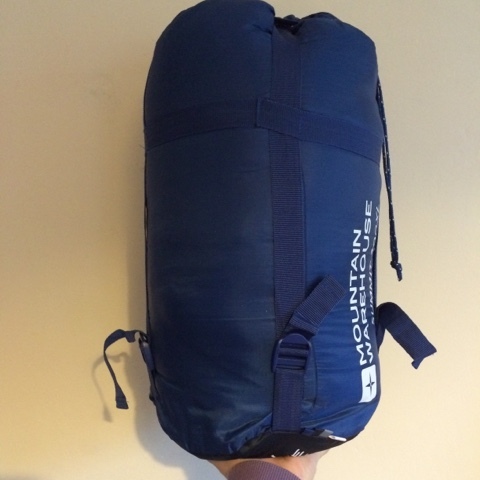 Thank you, dear sleeping bag, for the last 12 years. You were a good investment. Haha, I love this. Poor sleeping bag, but at least you are keeping for emergencies and not just slinging into the flooded garage, as has happened with my spare.